York City of Sanctuary offers support to the Wakefield City of Sanctuary group which does an enormous amount of work for refugees and asylum-seekers. Wakefield in West Yorkshire is a reception city for asylum-seekers who are accommodated there whilst their claims are assessed. The Wakefield CoS group offers them support. Up to 50 new asylum-seekers arrive every week and a main and constant requirement is clothing. Wakefield CoS makes up emergency packs for adults, children and babies. There is a particular need for emergency packs for babies to be given to expectant and new mothers. We would like to help with clothing provision of babies. If you are able to donate items (or have any queries) please contact our Barbara Lodge at barbara.lodge@virginmedia.com. York CoS will transport the items to Wakefield. 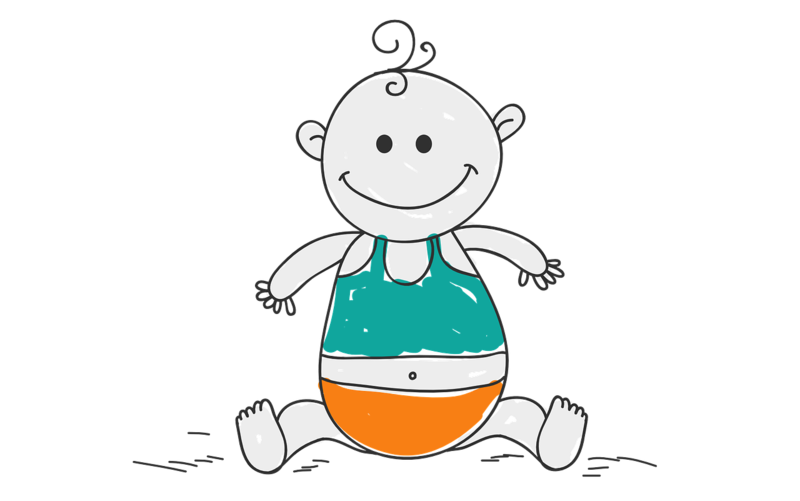 Items requested are babygrows, baby vests, tops, cardigans/jumpers and jogging pants. Wakefield CoS asks that items be new or nearly new. Charbonnel, a human rights defender on the Protective Fellowship Scheme at the Centre for Applied Human Rights at the University of York, speaks at our monthly meeting this month at the usual venue - the Friends Meeting House, Friargate, York YO1 9RL. Charbonnel is the director of the Centre de Réhabilitation des Victimes de la Torture (AJPNV) in Chad. AJPNV works primarily towards the rehabilitation of torture victims, the abolition of torture and the education of citizens of Chad on human rights. It provides medical, psychosocial and legal support to victims of torture, internally displaced persons and female victims of sexual violence. The meeting is on Tuesday 11 April, starts at 7 p.m. with Charbonnel's talk followed by questions and answers and then continues (from 8 p.m.) with our group's regular business. All are welcome to attend and, if they like, to leave after Charbonnel's talk. We held an enjoyable Amnes-tea one afternoon/evening last month on the occasion of International Women's Day. 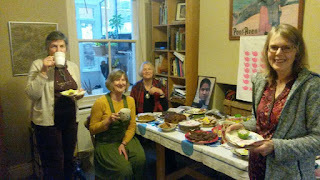 There was much chat and cake, it was good to share stories of women Amnesty has supported and to display Amnesty merchandise and £140 was donated. We thank Susan, for organising the event, and everyone who attended.